Update: Ford Performance also dropped a teaser on Facebook, giving us a tantalizing glimpse of the GT500's supercharged V8. Ford says it will have the highest horsepower rating of any Blue Oval production car in history. The ultimate version of Blue Oval’s beloved pony car is a no-show in Los Angeles this week, but the silver lining is now we know for sure when the amped-up Ford will finally premiere. 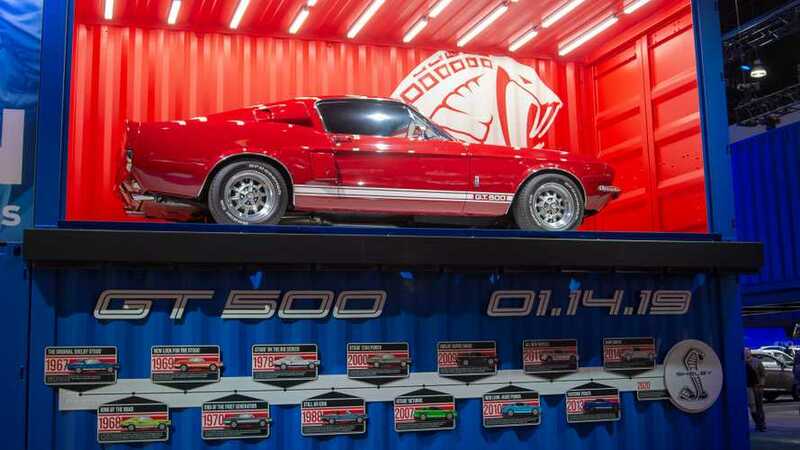 A classic 1967 Shelby GT500 looking pretty in a container at the show in California is accompanied on stage by a few cards forming the legendary Shelby Mustang’s lineage. 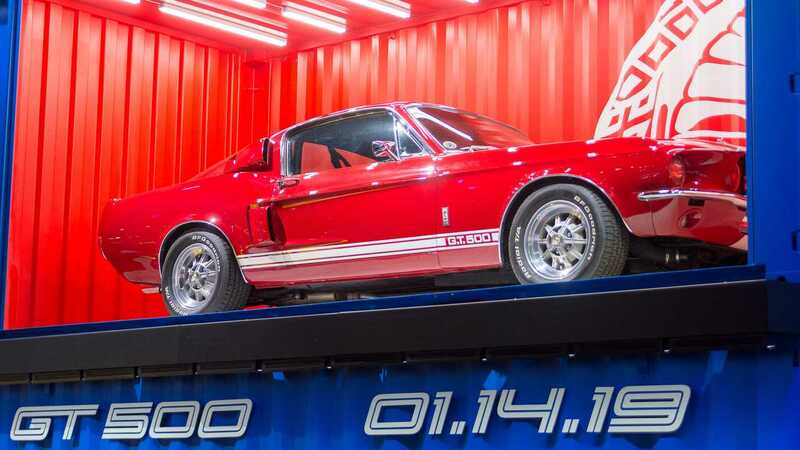 The only piece of the puzzle that’s missing is the 2020MY Shelby GT500, which we’ll get to see on January 14 next year as evidenced by the big sign accompanying the “GT500” logo. We’ve reached out to Ford and the company has confirmed it will premiere the car in January 2019 at the Detroit Auto Show. We are expecting more teasers in the next few weeks to get us all hyped about the much-awaited debut. The painstakingly long road to reveal has included so far a ton of spy shots, teasers, and rumors – some of which have turned out to be false alarms. The beefiest Mustang of them all was initially expected to offer more than 700 horsepower, but the card Ford has up on display in L.A. says the supercharged V8 will have "over 650 horsepower." The engine will most likely work together with a dual-clutch, seven-speed automatic gearbox sending all that power to the rear axle. Purists will be sad to hear a manual gearbox is not in the offing according to the latest unconfirmed intel. While January 14 coincides with the first press day of the 2019 North American International Auto Show (NAIAS) in Detroit, maybe Ford will be kind enough to show the Shelby GT500 online a bit earlier. Fingers crossed as the anticipation is killing us and it’s been an extremely long wait.